We're happy to announce the release of Silent Way v1.2.0. 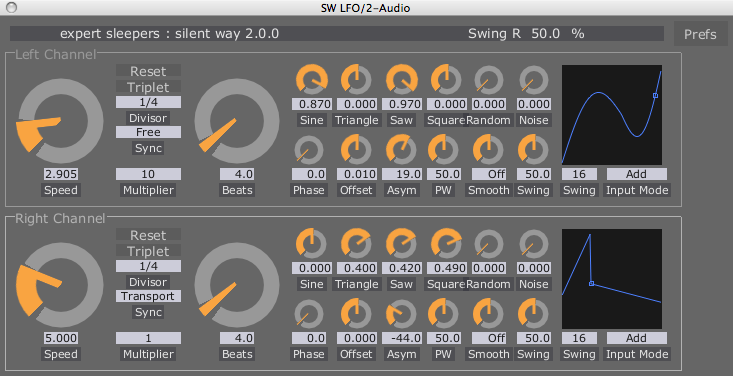 This release adds a new plug-in to the Silent Way suite - Silent Way LFO. As you might guess from the name, this plug-in is a low frequency oscillator device. It offers a variety of waveforms, tempo sync, and can be combined with the control outputs (e.g. envelopes, velocity) of the Voice Controller plug-in to achieve effects such as vibrato that fades in during each note.